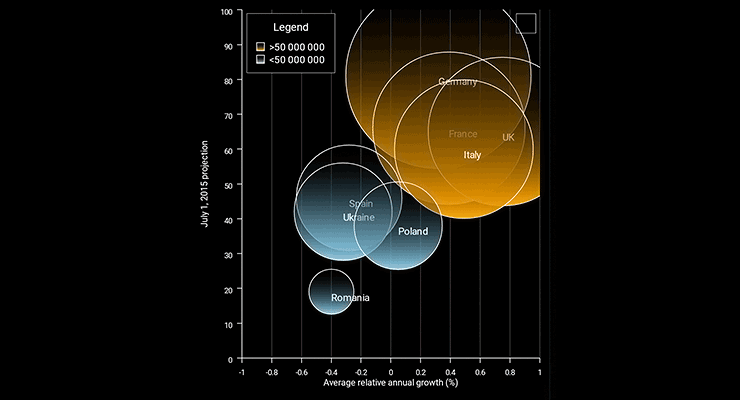 Part I: Overview of chart elements, the dashboard, plot and axes. Part II : Bar series and their drawing, rendering of custom labels with AnnotationRenderer-s. In this blog post we will build a horizontal stacked bar chart in Java. 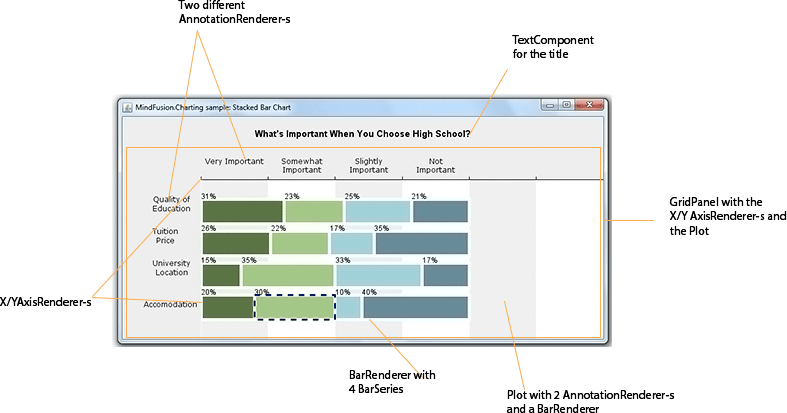 To build the chart we use the Java chart library. We want to add a few custom elements to the chart and that’s why we will use the Dashboard control that gives us complete control over the chart elements that we use and how to arrange them. 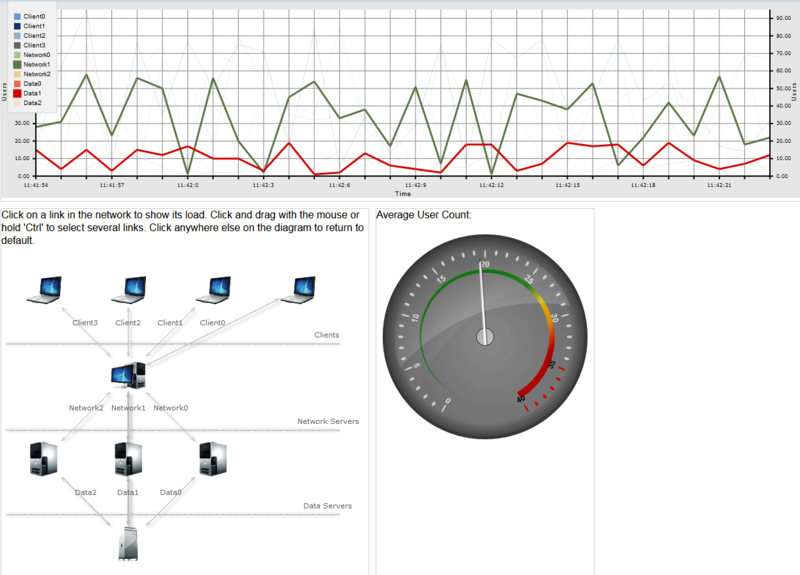 a Dashboard control as the base Component. a TextComponent for the title. a GridPanel for the axes and the plot. two AxisRenderer instances for each axis. a BarStackRenderer control that draws the bars. two AnnotationRenderer instances that draw the custom labels to the left and the top. a Plot control that holds the BarRenderer and the AnnotationRenderer-s. The GridPanel has two rows and two columns. On the first row is the XAxisRenderer , that renders the X-axis, on the second row is the YAxisRenderer and the Plot with the BarStackRenderer . We make sure the ContentPane of the JFrame that our Swing application uses applies the BorderLayout on the Dashboard and places it in the center which means it will stretch automatically when the user changes the size of the JFrame. The plot for the Chart is a Plot2D control. It will hold the BarRenderer and the two AnnotationRenderer -s. First, we set some general options: that the plot allows span, that it stretches in both directions and it will render a vertical grid. The intervals of the axis are important because they determine the location of the grid stripes. The Axis sets some apperance properties like brush and font for the labels. This is the end of the Part I of this tutorial. In part II we’ll cover the BarRenderer with the BarSeries and the AnnotationRenderer-s. We will also briefly discuss the GridPanel. Those files are redistributed with the chart library. If you plan to use different directory structure in your project you must edit the config.js file. The size determines the size of the chart, the id is important because we’ll use it to access the canvas from code. 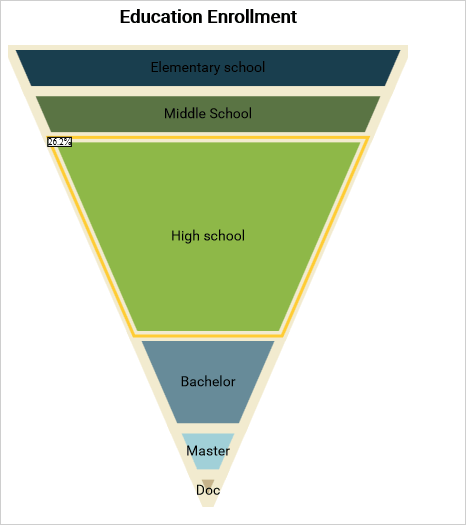 The chart object is created with the help of the FunnelChart canvas element, which we get from the html page using the id. Then we create the series and assign it to the series property of the funnelChart object. Then we have to override the supportedLabels property of the Series class to make it return LabelKinds.ToolTip in addition to LabelKinds.InnerLabel. Finally, we must return the appropriate tooltip and the appropriate label, when asked. This is done by overriding the getLabel method of the SimpleSeries class. Themes now can be serialized to and from XML through the use of the respective loadFrom and saveTo methods. labelRotationAngle property added to AxisRenderer. xAxisLabelRotationAngle and yAxisLabelRotationAngle properties added to BiaxialChart. 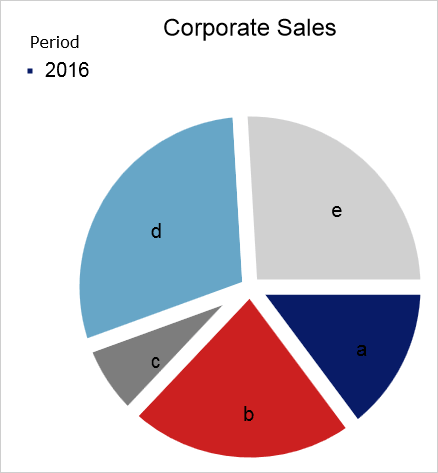 PieChart now properly shows outer labels. LegendRenderer now properly shows border. Fixed hit-testing in pie and radar charts. Charts’ zoom buttons scaling issue fixed. Technical support is available at the JS Chart forum, per email at support@mindfusion.eu or at the HelpDesk. Either way MindFusion attentive support team would be glad to answer your questions. Basically, our sample consists of an HTML file and a Scripts folder, which will hold all used *.js files. In the web page that will hold the control we add two JS references. 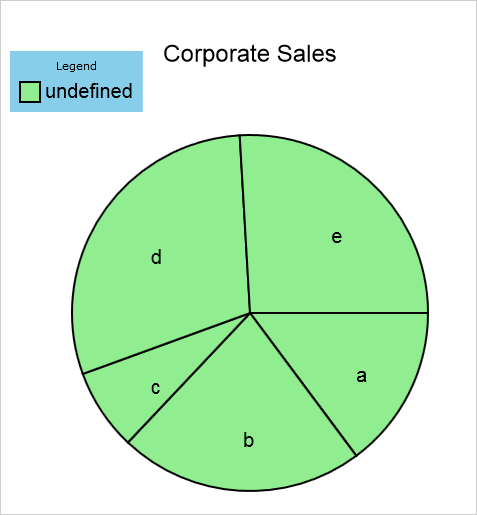 We will define our chart in a PieChart.js file that we will place in the Scripts folder. In the body of the file we create a div that holds a canvas. 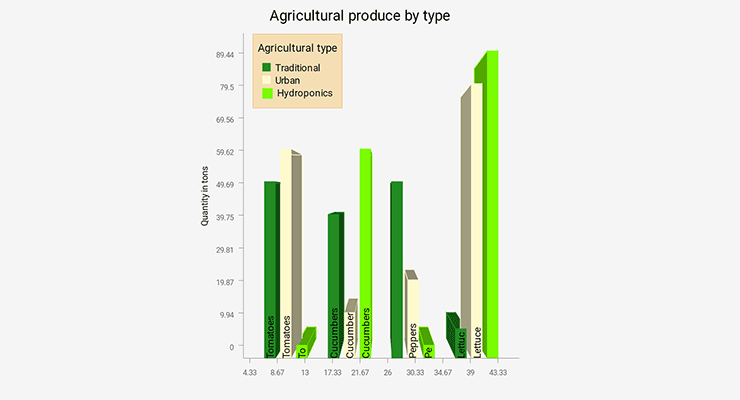 We create the chart from the canvas in the HTML file. 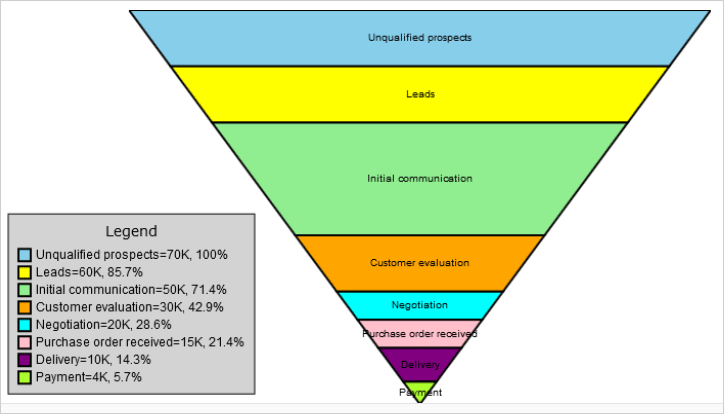 The pie chart holds a single PieSeries.. For it we need data, inner and outer labels. If you run the chart now you’ll see the pie with labels painted in a light green color. We could have set different pens, thicknesses and DashStyle for each pie piece, but we want all the pieces to be outlined with a single pen. Note that those settings are of type array and are nested in another array. That is because the styling might apply to multi-series charts and each array is responsible for styling the elements of each series. The legend needs to be styled – the background, border and title need to be specified and customized to make it look better. The legend title is a property of the chart. With this our chart is complete. A hint: if you want to make the pie labels from inner to outer, you just need to change the position of the null value in the PieSeries constructor. 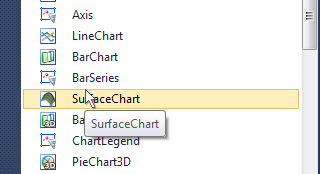 This is a step-by-step guide on how to build a surface chart using MindFusion WPF Surface Chart control. The data is set with data binding. After we build the chart we’ll adjust some properties and preview how they affect the chart appearance. If you have installed the control or MindFusion WPF Pack with toolbox integration you’ll just need to drag and drop the surface chart control. We use a ShaderEffect to make the chart more beautiful. The ShowSurface property means the control shall draw a surface but will not draw a wireframe or scatters – we’ll change that later. The SideWallThickness sets how the walls will look – we make them modestly thick. If we don’t set a GridType it will be more difficult to read the chart, so we set a horizontal grid. Scale determines how the chart will be zoomed and GroundLevel sets the location of the bottom or ground wall. For the purpose of this sample we create just a List of Point3D objects, which will be the data source. We do this in code. 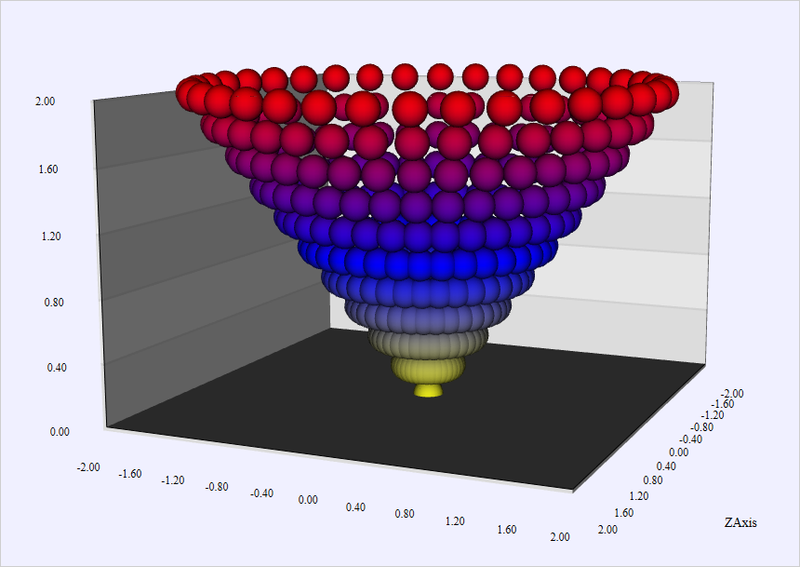 We generate the points using the algorithm for a cone. Now let’s bind the data list to the chart’s properties. The DataPath properties specify the names of each data bound property. Each axis exposes MinValue, MaxValue and Interval properties, which are used to define the scale. We can show a wire frame by setting ShowWireFrame to “true”. If we want to show scatters, we’d better turn off ShowSurface and set ShowScatters to true. A wire frame can be show no matter the surface type. You can combine all of them – scatters, wire frame and surface. InterpolationType lets you choose among various types of interpolation. Choosing None means that the control shall simply connect the 3D points. An important property is PointMergeThreshold – it indicates the smallest difference at which a point that comes too close to another point won’t be drawn. If we set it to 0 or a negative number all points will be drawn. 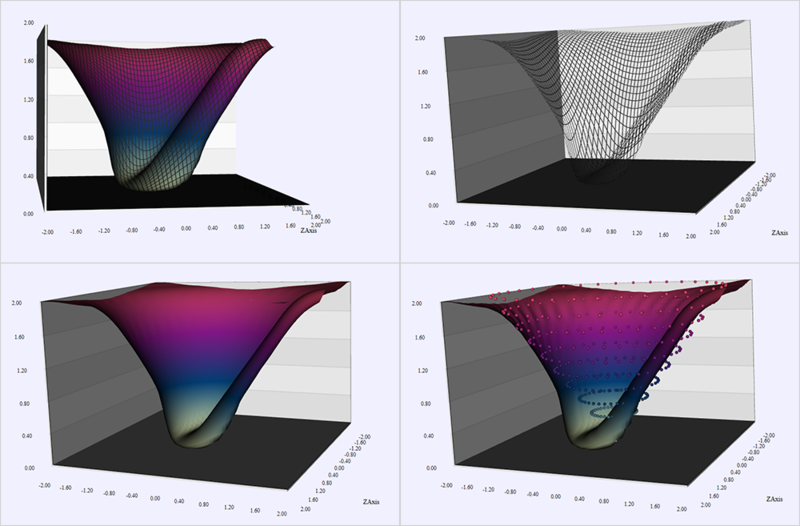 Here is a selection of images of charts with different combination of surface properties turned on: wire frame, surface, scatters. Learn more about the WPF Chart & Gauge control here.